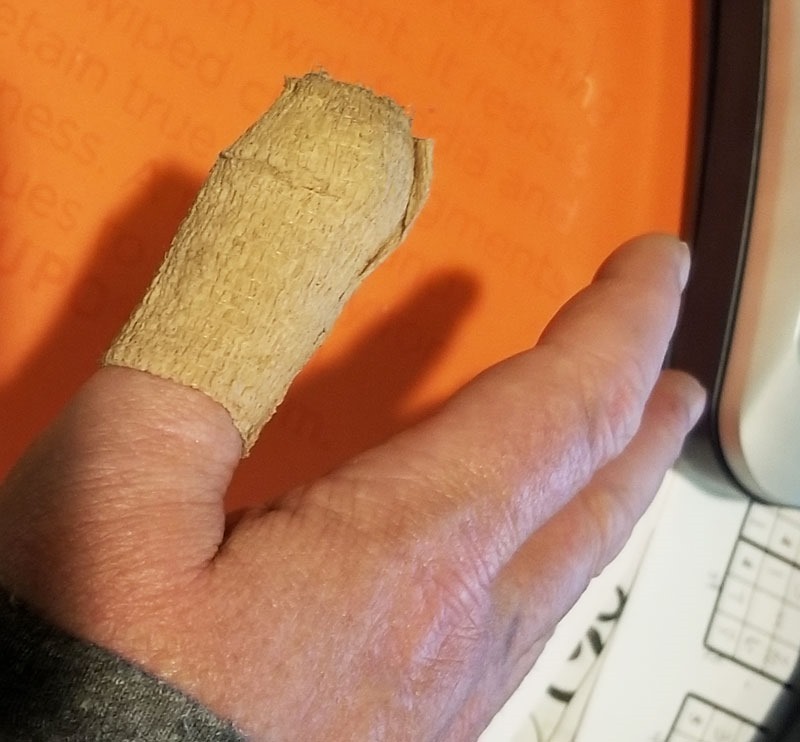 Just like that – Thanksgiving is over; We had a recipe-FAIL; and I’m missing a decent portion of the tip of my thumb. VOILA! 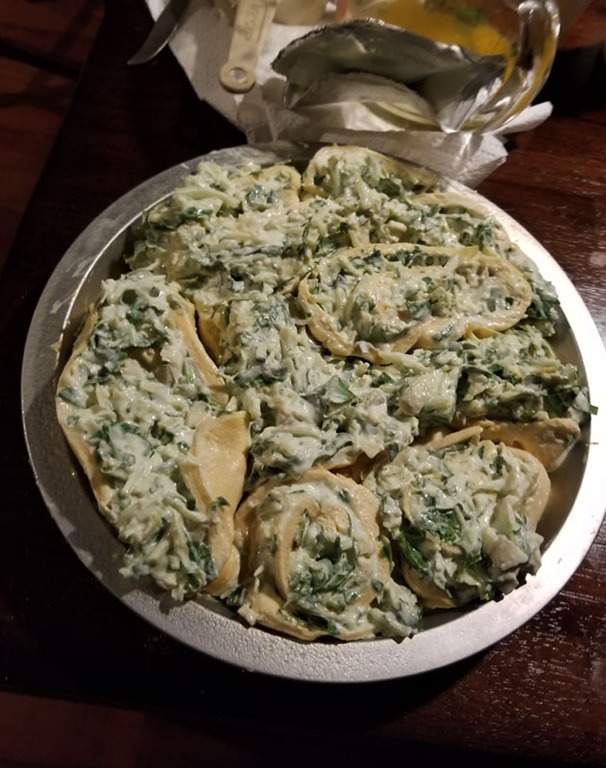 For a hot second, DH was ‘proud’ of himself for pulling together Artichoke Spinach Pinwheels … the link shows you what they should have looked like. Our version was HUGE, with too much filling overflowing out of the bread, and the pan. But, once DH had those discs cut up and plopped in the pie plate, he proclaimed, “Et, voila!! !” Cooking our version for an additional 10 minutes did not remove the raw dough, sloppy-mess taste! We did manage our vitrigraph pull. 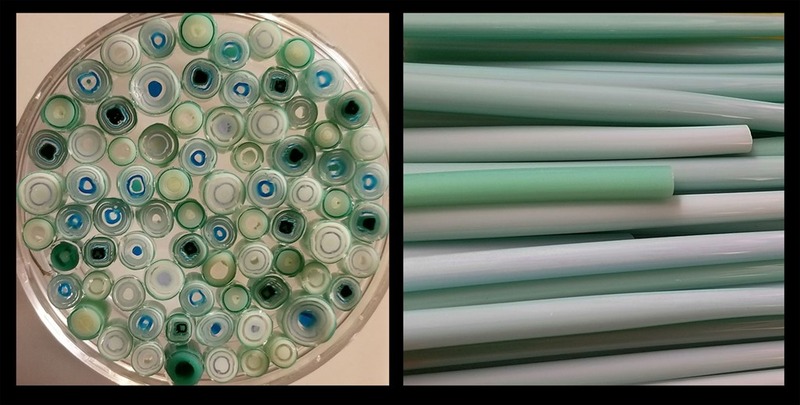 Pretty shades of teal, turquoise, cream, white and there is a hint of Neo-lavender that pops through a few slices when the light hits it just right. Pretty! Say a prayer and throw out good thoughts for DH and Tubitha. 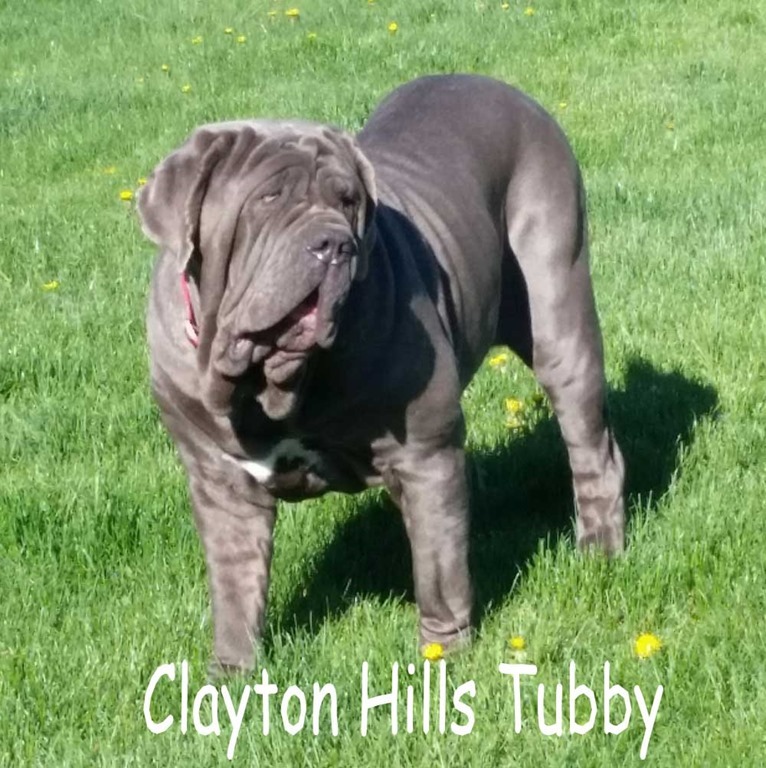 While I’m working my 24 hour weekend tour, Tubby is sure to have her pups!